It’s time for some great Christmas gift ideas for children aged four to six, and what a fun age it is to buy for! We have a very big list, so come on through and check it out. 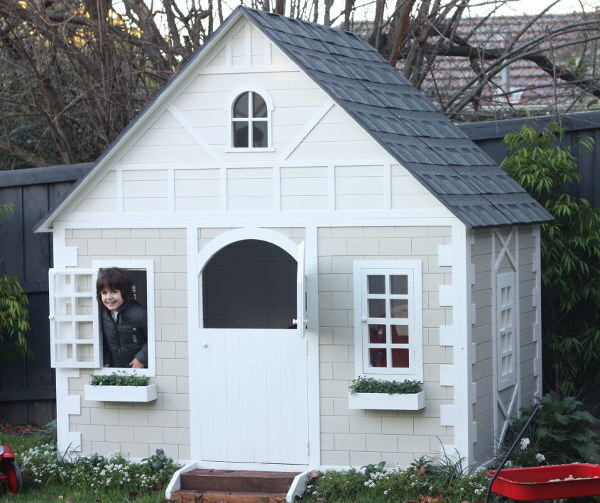 I can’t even imagine how thrilled my kids would be to step out into the backyard on Christmas Day and be greeted by a Tudor-style cubby house from Hip Kids. It looks so amazing I wouldn’t mind taking my afternoon coffee in there myself. Check it out at Hip Kids where it sells in two different styles for $999. Despite anyone’s best efforts, there often comes a time when little girls really love two things – bags and makeup. If that’s the situation at your house, you can solve both desires at once with Natural Play Makeup bags from Pure Poppet. They’re only $24.95 each, come in yellow or pink, and each one includes three bright mineral powders which can be mixed with water (or not), a flavoured lip balm and a floral water spray. Don’t forget the nail polish! I’ve never met a four-year-old who didn’t want to wear nail polish, but you might be feeling a bit concerned about what’s lurking in the cheap polishes you’ll find in a two dollar shop. Nothing to be worried about with these lovely polishes though. They are Hopscotch Kids WaterColours and they come in sixteen fun shades. They look and feel like traditional nail polishes, but without any of the harsh smells or chemicals. A Little Bit of Cheek has the pack of three for $44.95. How about something that’s fun and practical? 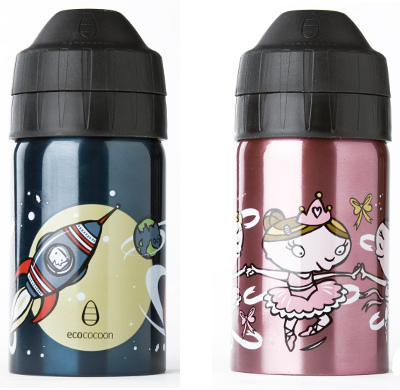 Keep everyone hydrated over summer with insulated Ecococoon stainless steel drink bottles. These are just two of the many designs you can pick up from Haggus and Stookles. Prices begin at $24.95. If you’ve ever wished you could accurately remember more of your childhood, this might be the kind of special gift you would love to give your child. 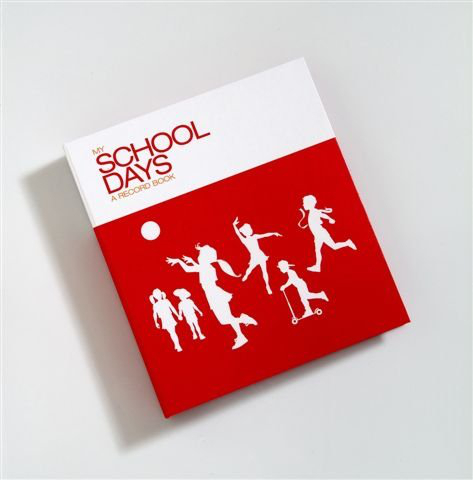 The My School Days record book is not only a scrapbook, with plenty of room for memorabilia and certificates, but there is also plenty of room for writing down memories and information, and helpful questions which your child can answer on their own, or with your help. Milestone Press has this little piece of history in the making for just $36.95. Four to six-year-olds just produce so much sentimental STUFF! If you are drowning in medals, ribbons, certificates, drawings, cards and reports, wouldn’t you love to have somewhere neat and organised to keep it all? A great system means your kids can enjoy looking through their memories and achievements without having to empty an old shoebox all over the floor. 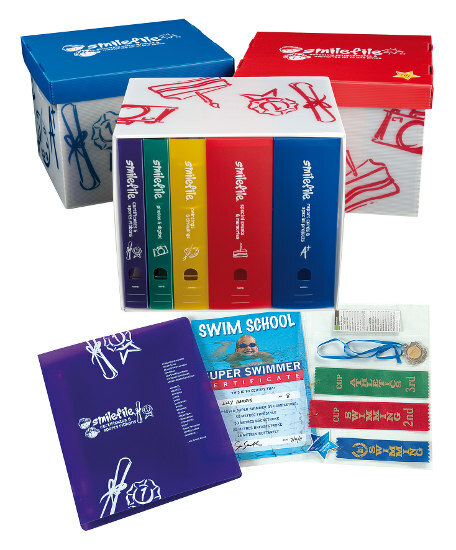 The Smilefile Memory Keeper provides a place to keep everything from preschool to Year 12 and until December 21 it’s on sale for $79.90. After that it will revert to its original price of $89.90, so get in quick! I’m a sucker for any toy that comes in a tin, but this time it’s justified. 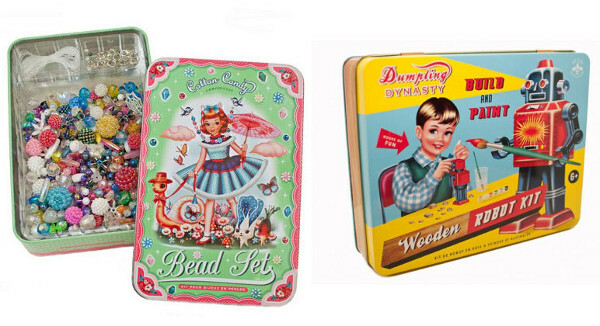 The Little Homewares Company stocks these fabulous Wu & Wu Build a Robot and Bead Set kits for just $29.95. They’re probably more for the higher end of our age range, but they’re sure to provide little creative minds with hours of enjoyment. Littler hands will have no trouble at all with these gorgeous blocks though. Tegu Endeavour Magnetic Wooden Blocks show blocks aren’t just for babies. There are sets in different sizes and with a number of different colours and finishes. All are hardwood with fully enclosed high strength magnets which mean there is virtually no end to what you (or your child!) can create. You can get your set from Tactillian Toys where prices begin at $85. This is only the beginning of our gift ideas for four to six year olds. Keep tuned today for our second set of suggestions.